The UNMIK Regional Office in Mitrovica, which includes the Regional Headquarters, offices in three northern municipalities and the UNMIK Administration in Mitrovica (UAM), endeavors to facilitate peaceful inter-ethnic relations and conducts regular outreach visits to promote inter-ethnic reconciliation. The regional office ensures effective coordination of activities through frequent interactions with community and political leaders as well as mandate- holding international partners. These efforts help develop a focused monitoring on security related matters including those affecting freedom of movement and create a mechanism that aims to promote and maintain peace and stability in the region. On a daily basis, Municipal UNMIK offices function as interfaces between northern municipal leaders and the Kosovo-Albanian minority community in the North, providing a channel of communication for both sides. In doing so, MRO places emphasis on the de-politicization of issues and seeks practical solutions in accordance with the applicable laws. The Regional office also creates opportunities for leaders from both sides of the Ibar River to jointly address the daily problems of all communities in the region, including water and electricity supply. 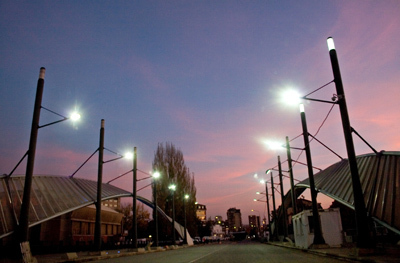 It also liaises with international economic development actors and potential donors to promote economic development initiatives in the Mitrovica Region, and fosters the creation and promotion of economic development strategies and initiatives by municipalities, identifying needs and priority areas for development. The functions and specific features of the UNMIK Administration Mitrovica (UAM) are referenced and stipulated in UNMIK Administrative Direction 2007/12, implementing UNMIK Regulation No. 2000/45, as amended, on Self-Government of Municipalities in Kosovo. However, following the creation of the municipality of Mitrovica North, consequent to the signing of the Brussels Agreement (April 2013) between Belgrade and Pristina, UAM has redefined its role, which focuses more on facilitation, conflict prevention and mediation, besides continuing some of its previous functions.